This story is republished on thetriibe.com in partnership with The Real Chi, an experimental “learning newsroom” in North Lawndale for young adults. Video by Julia Mondschean, Maya Horton and Trevor Squire. 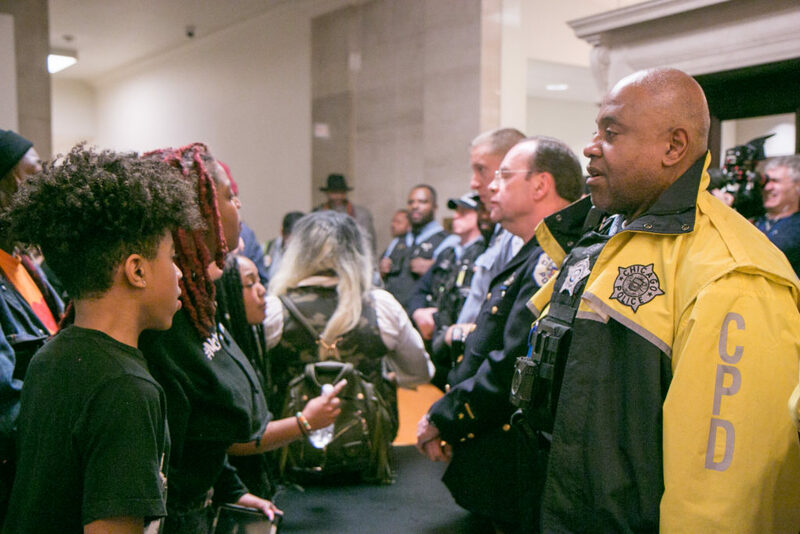 In the hallway, activists’ chants grew louder after reports that one demonstrator was arrested and escorted out of City Hall by five officers.